Discussion in 'Chainsaw' started by Chris Doherty, Apr 17, 2019. I was hoping someone can help me. I have a Old Roots Luberjack chainsaw with a Tecumseh AH-81 engine. Im guessing this chainsaw was hardly used because of its amazing shape with minimal wear to the original paint. However, the carburetor is missing and I’m trying to figure out what exact model was used. From what I can find on the Internet, It would be a Tillotson HL series but there are many HL models. I found out on one website a different brand chainsaw with the same engine may have a HL-66 but I can’t find anything on this carburetor. 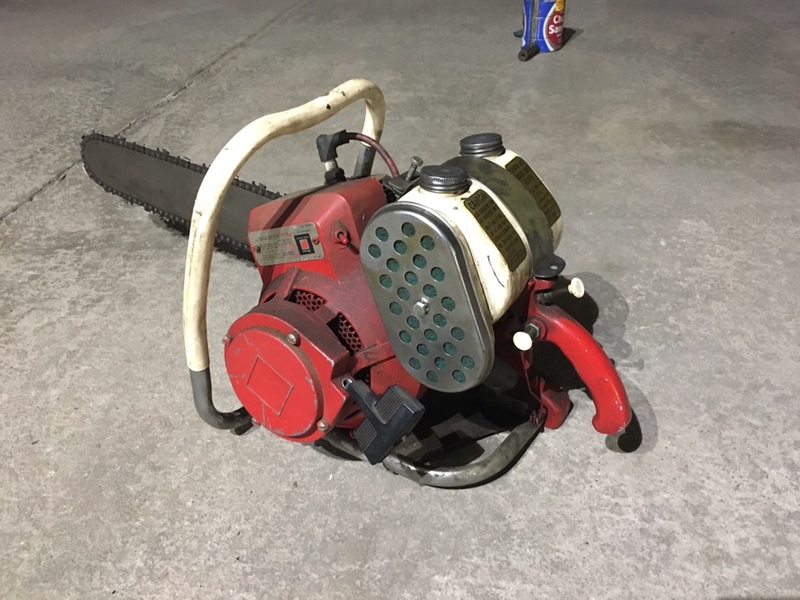 Does anyone have any chainsaws with this model engine? Would you be able to tell me which carburetor would run this chainsaw properly? I would really appreciate any help anyone can give me or if you can point me in the right direction. CJ Brown, Ozhoo, Ronie and 3 others like this. thats badass. sorry no help on carb. Ronie, Chris Doherty and farmer steve like this. Hi Chris. welcome to arboristsite. Go to the chainsaw stickies section and there is a beg for manuals thread that may help you out. Ronie, Chris Doherty, pioneerguy600 and 1 other person like this. David Bradley direct drive: 917.60011, 917.60021. Lombard Fury 681, Invader 82 or 682, 5. CJ Brown, Chris Doherty, Wright Saw and 2 others like this. My papers say the AH 81 ran a Tillotson HL83A but that carb seems small for a 130 cc engine. I will keep digging in ancient paper. CJ Brown, grizz55chev, Duce and 5 others like this. CJ Brown, pioneerguy600, Chris Doherty and 2 others like this. My sources point me toward the AH-81 that was used on the Wards WD95 , that is where the HL83A was used. My manuals have very little information for the Roots and Lancaster saws that used the AH 81 engines. Chris Doherty, Wright Saw and farmer steve like this. I uploaded additional pictures to my original post. Well it looks like the Carb might be the HL83A or HL32A... I will have to keep digging if i can find one of these. Hopefully someone here has a chainsaw with this engine and can tell me the carb that's on theirs. Also attached to this post is the only image (151-1.jpg) I can find anywhere on the Internet of this model saw. If you zoom in you can see a little bit of the carb that I need. Also - The other image is an old advertisement for Root that has this saw depicted on it which i thought was awesome. Thank you! But I hope that I don't end up buying a Carb that's too small for the engine. CJ Brown, stihlaficionado, pioneerguy600 and 2 others like this. The HL `s physical body shape is the same for all models I have handled, the stud spacing is the same at 1 .8" from stud center to center and a body length of 2.6". 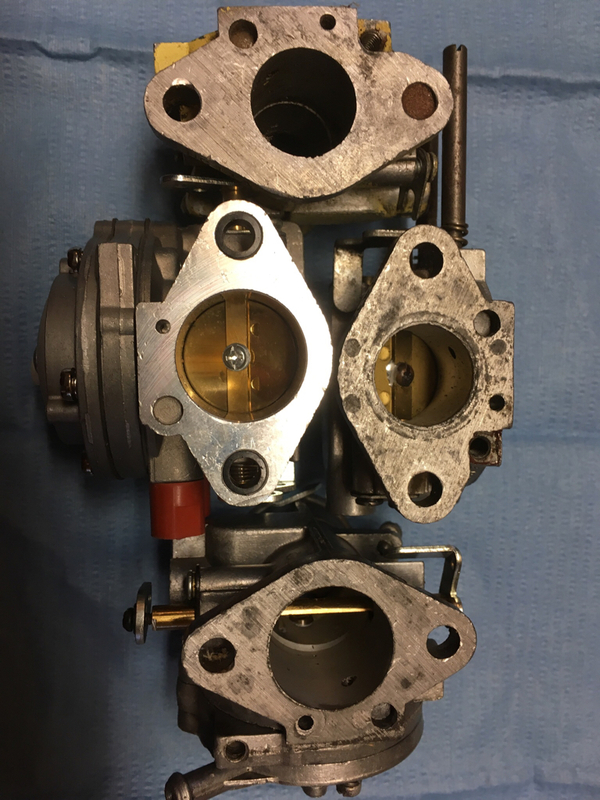 What is different is the throttle bore dimensions and how the throttle linkage connects to the carb, this varies from saw model to model. 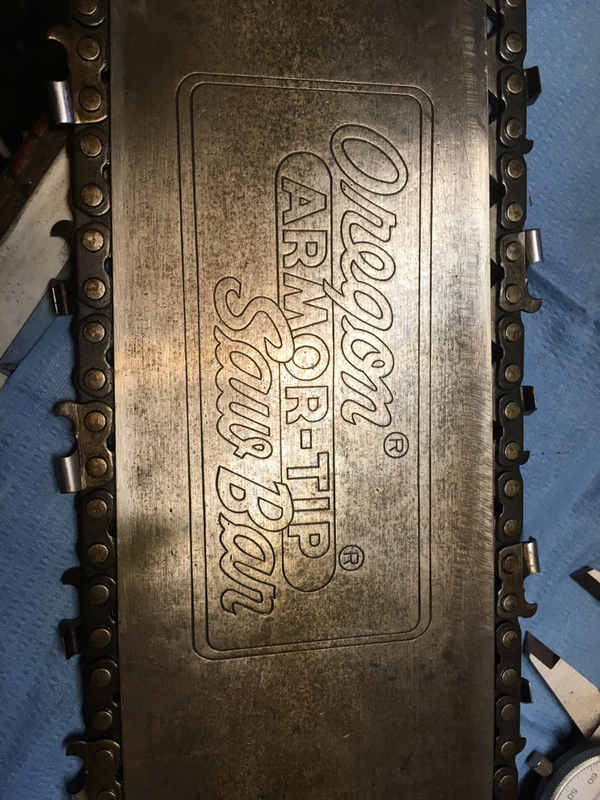 Both of the carbs mentioned above will fit on your engine but it was the throttle bore of 5/8" that was concerning me, one would think it could and would handle a larger bore carb but from all my manuals on Tillotson carbs both the 83A and the 32A were used on the AH 81 in Power Products applications. 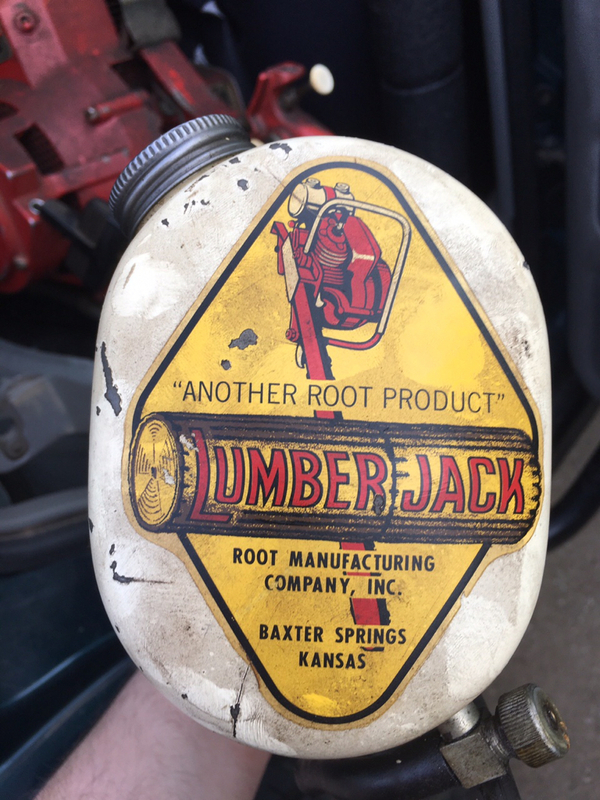 It seems Root was such a small manufacturer that Tillotson overlooked them in referencing materials. CJ Brown, grizz55chev, Chris Doherty and 1 other person like this. Take a look at a replacement carb for a Stihl 070 or 090. They are common on eBay for $20 or less. The throttle and choke shaft bellcranks can be modified to work on your Root. I successfully used one to replace the Tilly HA on my Clinton D-35. CJ Brown, emf123, grizz55chev and 3 others like this. They are a very versatile carb and usually a coathanger or bicycle spoke can be made into a throttle rod for them. CJ Brown, Chris Doherty, ray benson and 3 others like this. That is in outstanding nice cosmetic shape for as old as it is. CJ Brown, emf123, Chris Doherty and 3 others like this. Like me, your just drooling over that bar Carl. Chris Doherty and 67L36Driver like this. CJ Brown, Chris Doherty, ray benson and 2 others like this. I’m drooling over the whole ‘effing saw! I have one. Mine has an HL 86A in it. CJ Brown, Chris Doherty, ray benson and 4 others like this. Chris Doherty, Duce and 67L36Driver like this. Let’s drag Steve into this. many saws that were rebranded to other manufacturers. CJ Brown, Chris Doherty, farmer steve and 1 other person like this. I gave the saw a slight wiped off with a rag, so check out the attached photos to this post. I plan on gently washing and degrease the saw when I have time. Can you send me more photos of different angels of your setup? I see that I will have to fab a 90° elbow to go to the air box. Is there an adapter between the carb and the motor? I also will need to fab a new filter since the previus owner used a scotch brite pad. Im having trouble finding this carb. I found a used HL87D on ebay. Does anyone think a HL87D would work??? See attached photo. I slightly wiped it up for you to show how nice it will be when I finish. Take a look at a replacement carb for a Stihl 070 or 090. They are common on eBay for $20 or less. 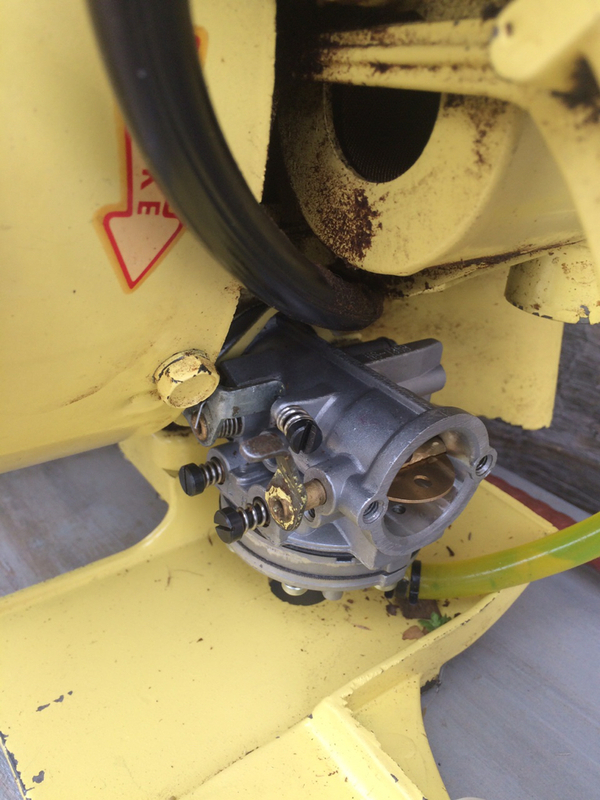 The throttle and choke shaft bellcranks can be modified to work on your Root. 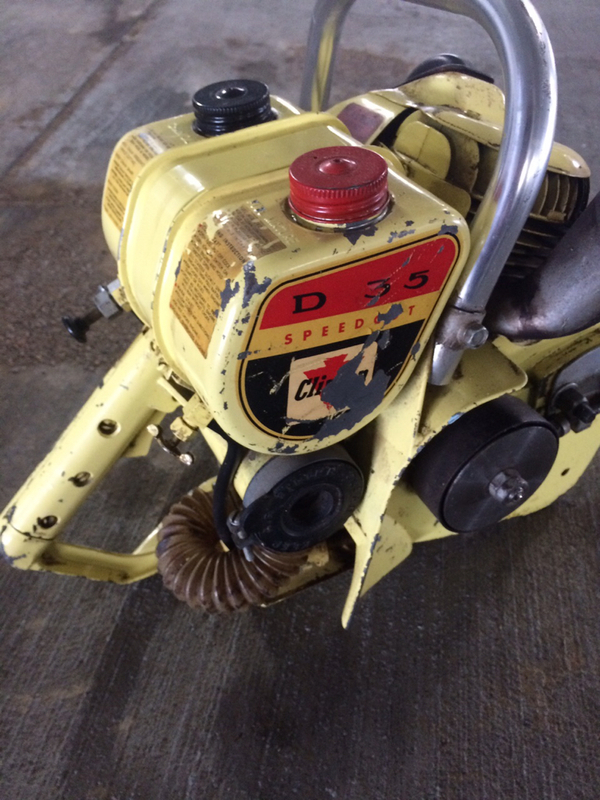 I successfully used one to replace the Tilly HA on my Clinton D-35. Thank you, This is great to know. I will definitely will buy this carb if I cant find a period correct one. That good to know! See attached photo. I would like to use the original linkage that I have. I would like to restore this saw as best I can with its original equipment. Got one. I’m drooling over the whole ‘effing saw! See attached photos. It looks like the Bar will clean up nicely. But I don't know much about it. Please tell whoever! I would like to learn as much i can about this saw! Really? I will have to do some research.